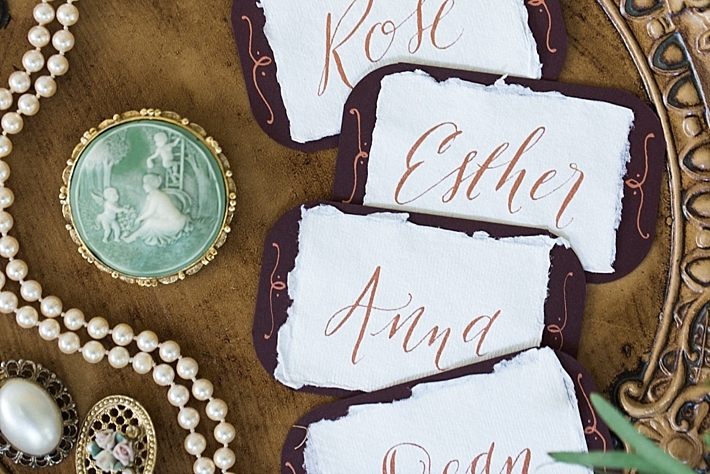 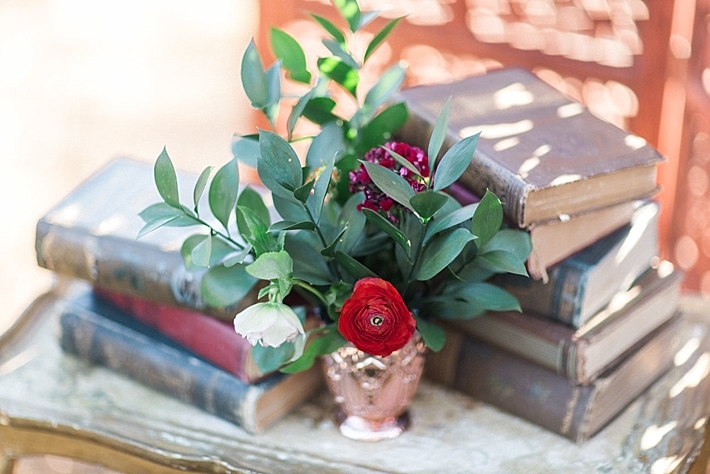 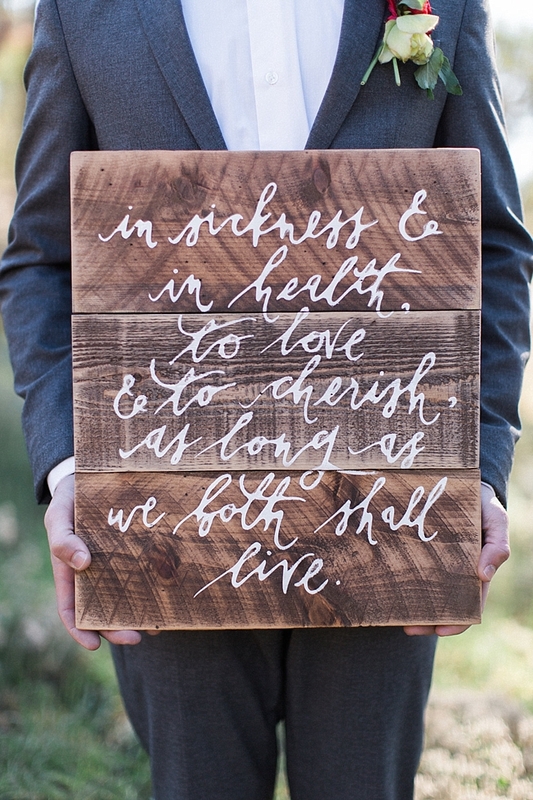 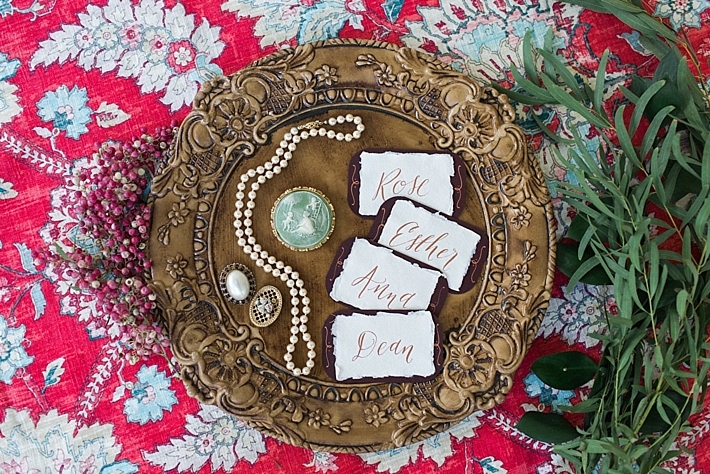 "At Two Roads Event Co. we specialize in narrative-based design, and oftentimes it’s our client’s unique style and story combined with their love for a beautiful and personally significant object that inspires an entire event. 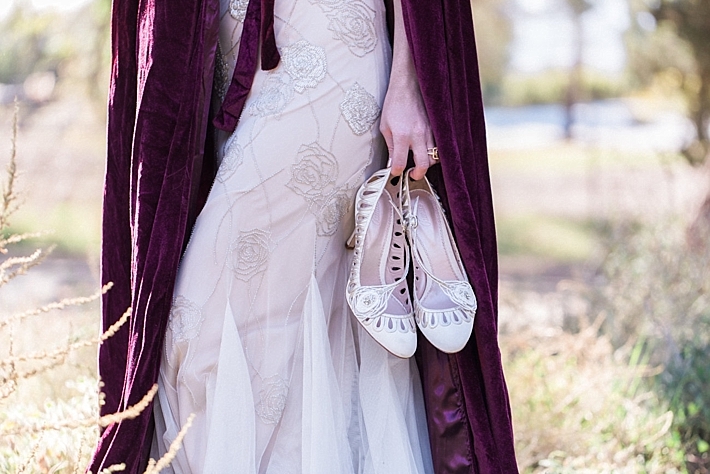 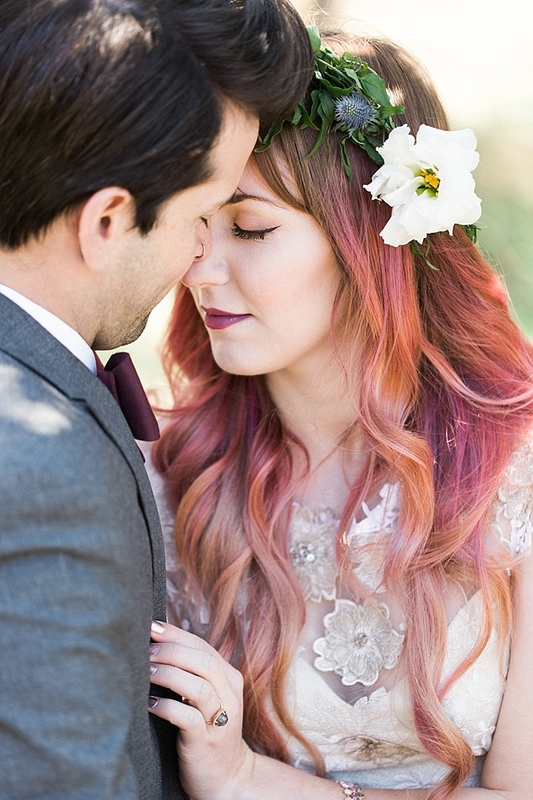 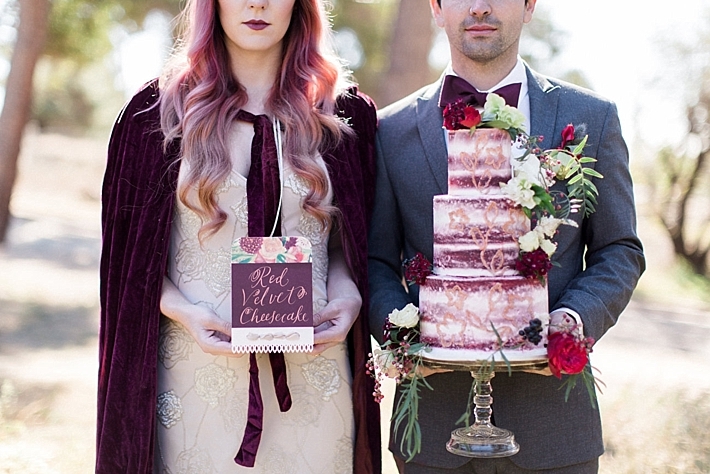 Our Red Velvet and Rose Gold styled shoot was inspired by an awesome red velvet cape, two knockout gowns by Claire Pettibone and Sarah Janks, and a model with stunning rose-gold ombré hair. 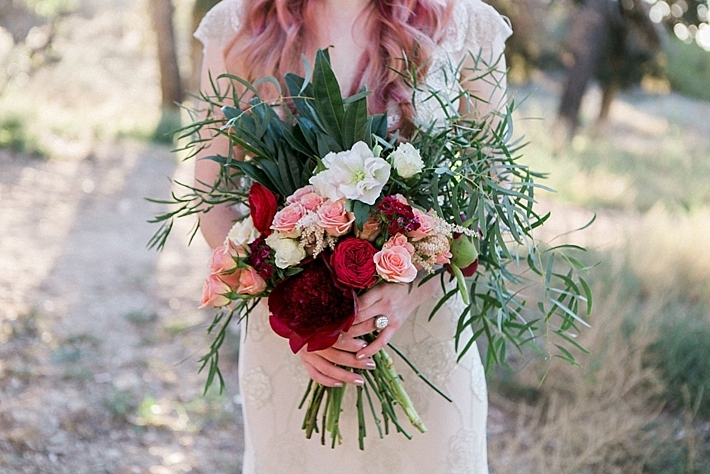 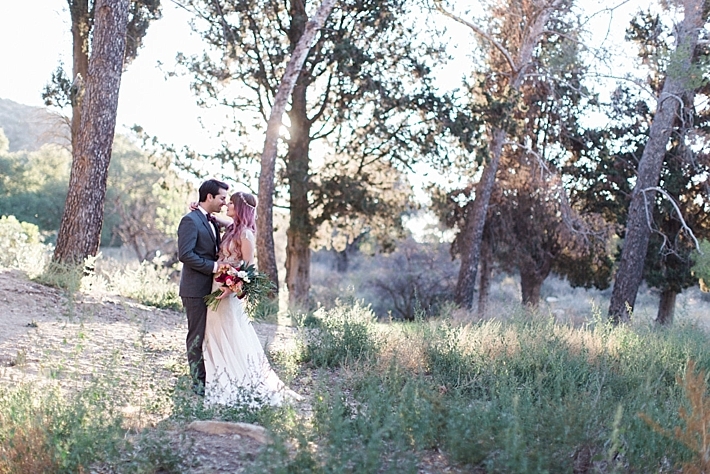 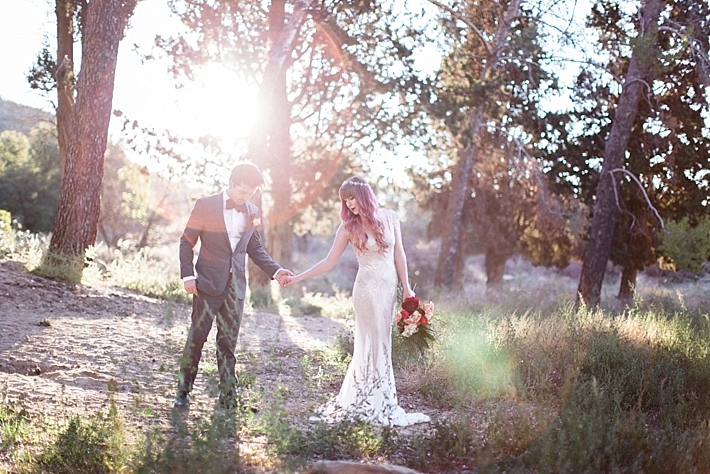 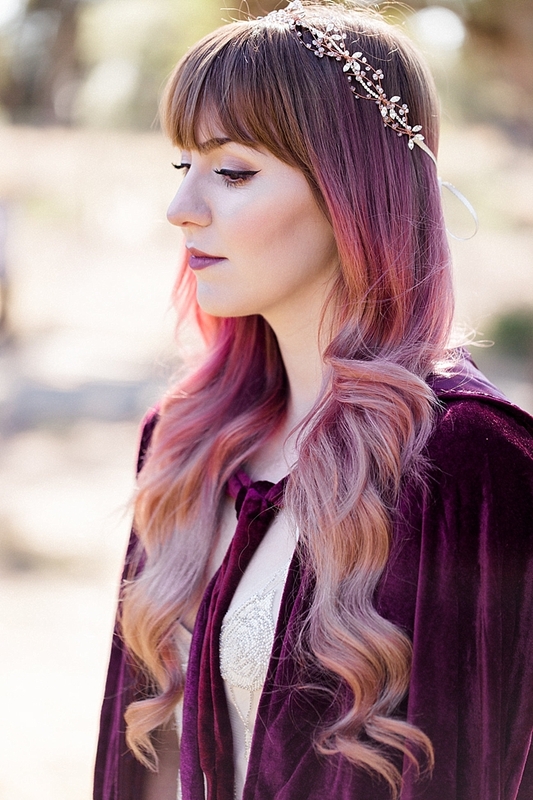 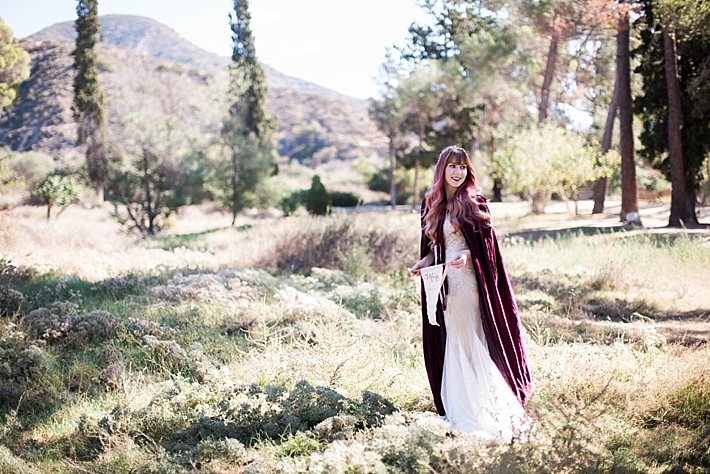 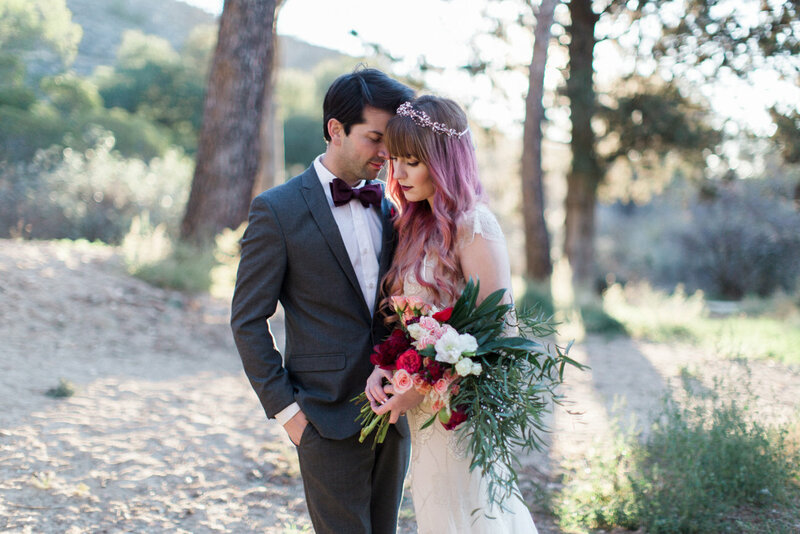 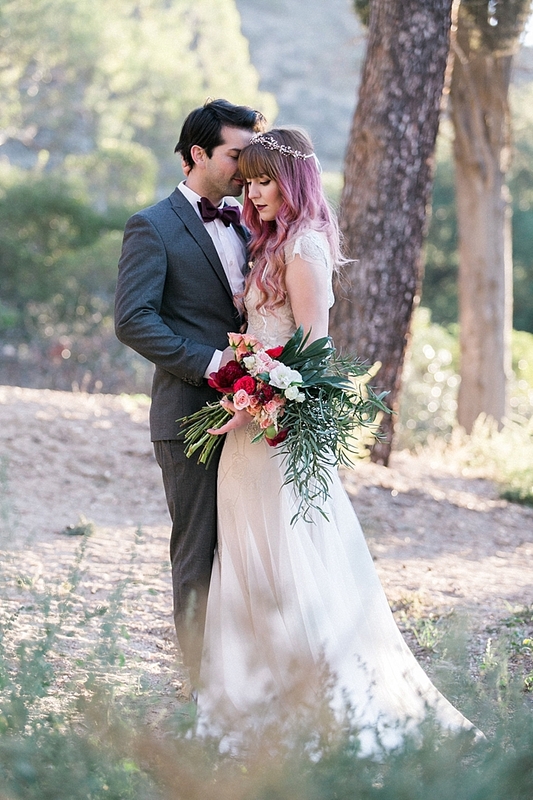 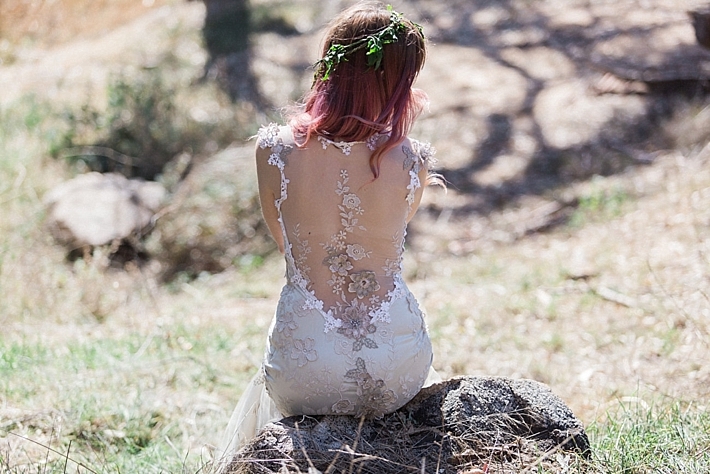 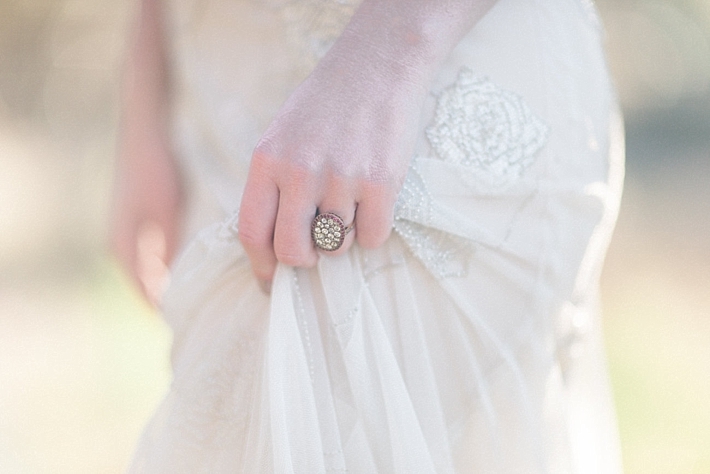 Our awesome photographer, Molly Lichten, chose the San Gabriel Mountains as a backdrop for our romantic-meets-boho-victorian-vintage dreamscape. 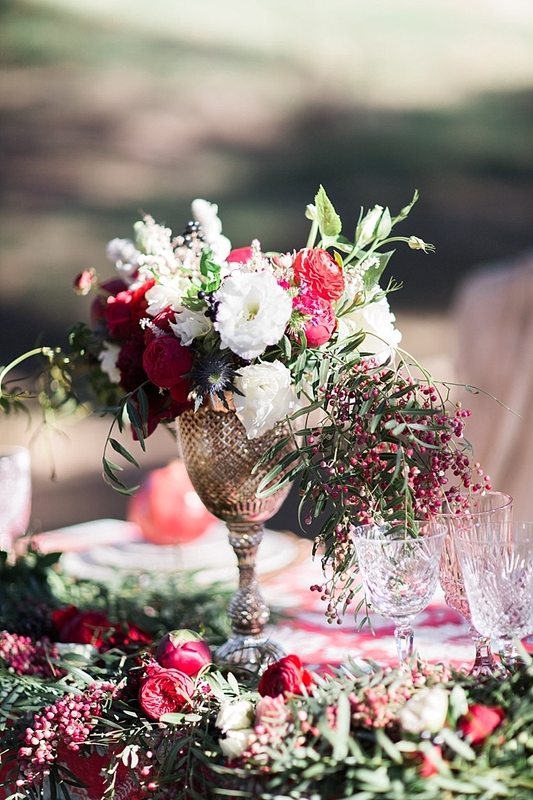 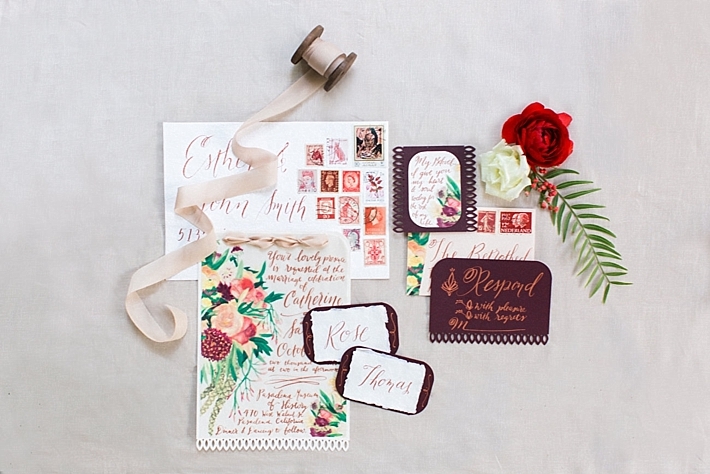 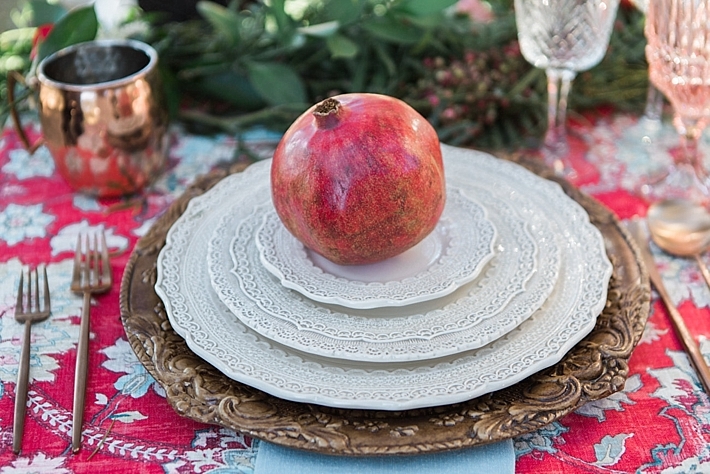 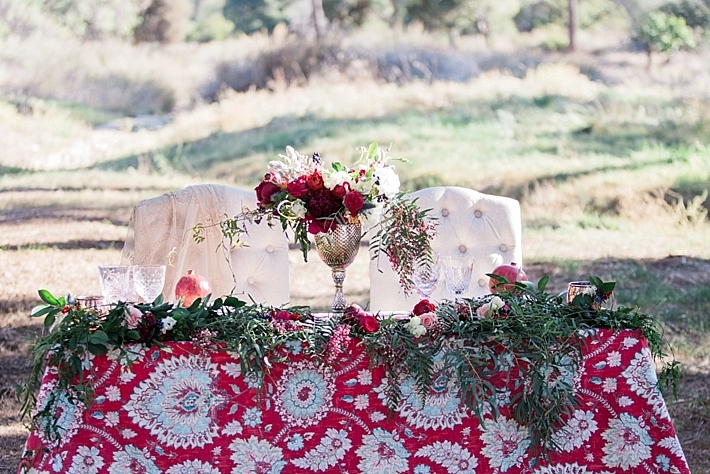 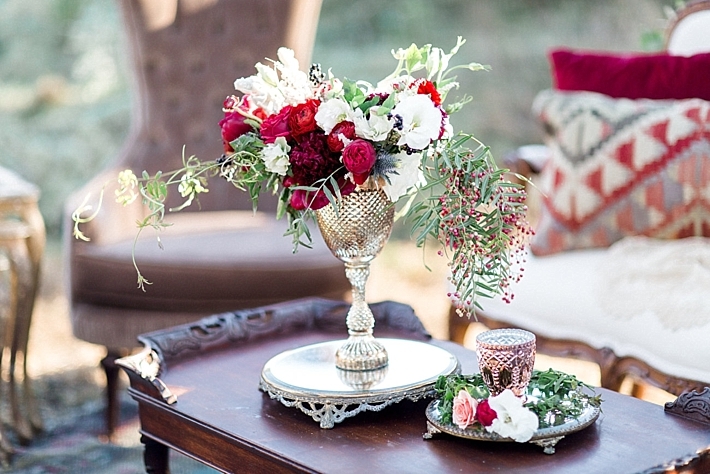 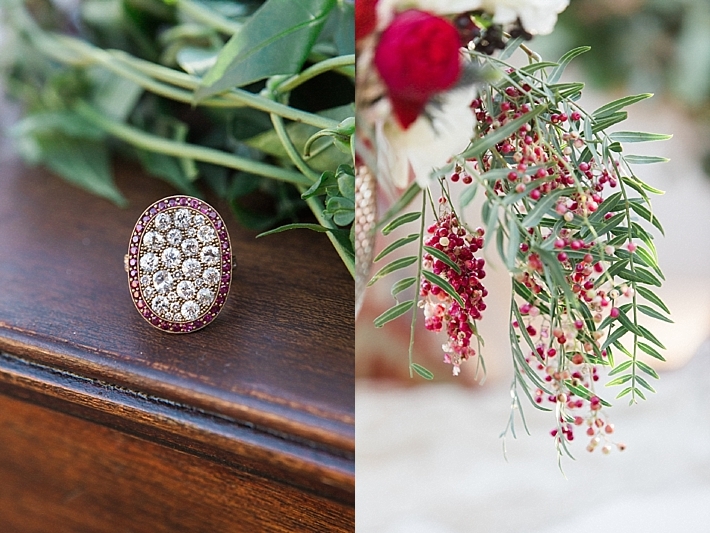 I selected lacy, feminine, vintage-inspired Casa de Perrin pieces and a patterned La Tavola showstopper for our tablescape, and our floral designer Here Come the Blooms crowned our settings with ripe pomegranates and asymmetrical blooms. 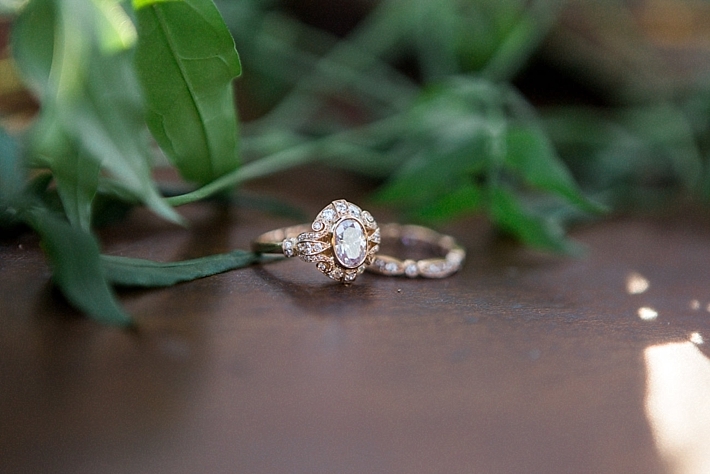 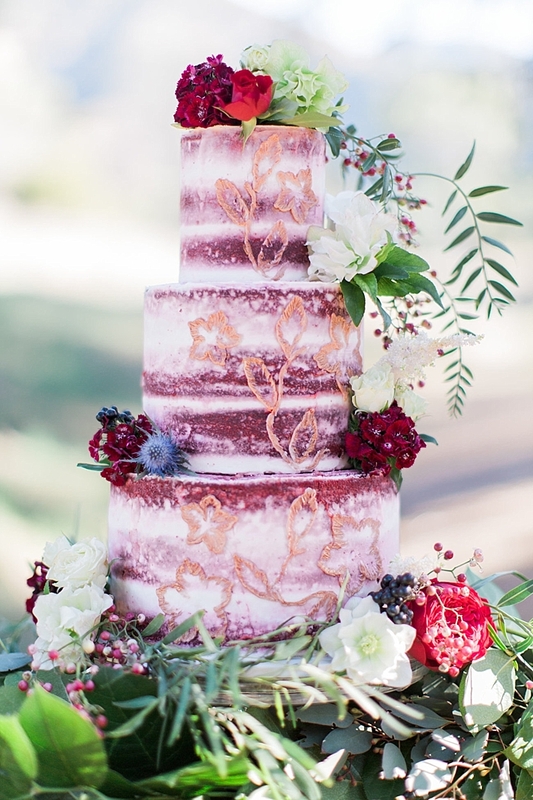 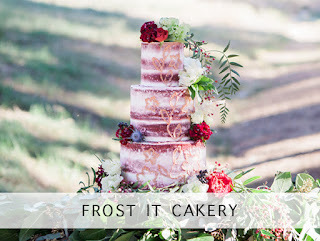 We topped our naked, rose gold and red velvet cake with dripping greenery, and together with Pretty Vintage Rentals, our talented team meticulously pieced together a series of unique detail-oriented vignettes that convey a fresh and airy yet slightly moody and mysterious take on an intimate and romantic wedding." 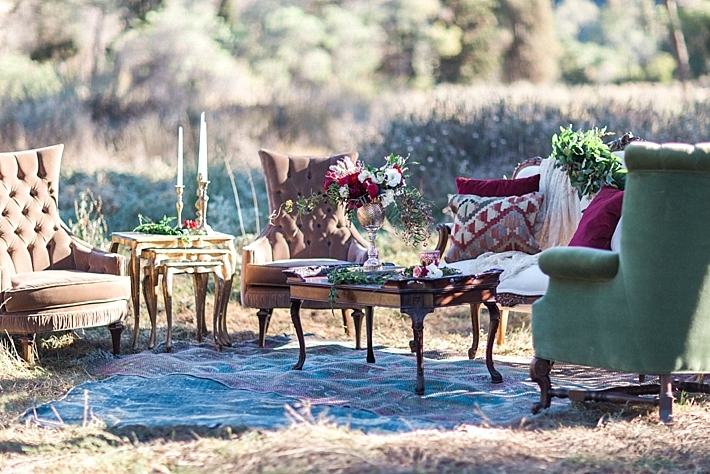 - Hailey at Two Roads Event Co.